What is the origin of Halloween colours? Have you ever wondered about the origin of Halloween colors? It is the custom of the celebration to use orange and black in decorations and costumes. Retailers embrace this holiday because it’s one of the most lucrative of all. As the Celtics are given the most credit for beginning the holiday as the festival of the harvest, a color of autumn is used. Orange, being the most prevalent autumn tone, is derived from the pumpkin and leaves. Many people use pumpkins hollowed out as urns or vases to hold masses of fall mums or carve them into ghoulish or scary jack-o-lanterns with lit candles or mini electric lights inside to cast an eerie glow. The color orange also signifies strength and endurance. We don’t know if that is for the holiday or strength and endurance at the harvest time. Since the Celtics were involved in wars with Julius Caesar, they may have believed the color orange gave courage to those who wore the color during battle. Little is know about this idea. Halloween was once (and still may be in some areas) a festival of the dead. Death is usually associated with darkness and absence of light signified by the color black. Black cats, witches hats, cauldrons, and streamers are a few of the items that are reminders of the holiday. Most candies at this time of year are in black and orange wrappers. 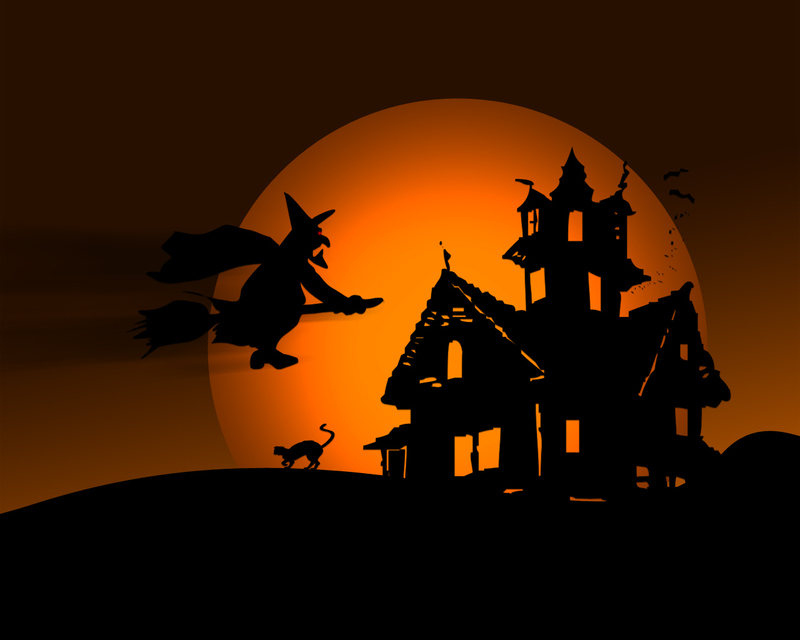 Traditionally, Halloween is always celebrated after sunset. The blackness of the night cloaks the revelers and hides their misdeeds or tricks if they don’t receive any treats. Walking into any retail store that carries Halloween costumes, candy, or decorations, you will find masses of black and orange items. You know that it’s Halloween time, because the distinctive color combination is only used for this season. Not too many people use this color combination for their house or clothing! The exact origin of Halloween colors is unknown but we all know that with practice and use, the uncommon becomes commonplace.